While traveling around Italy last December, I dipped out of Rome after Christmas Day and took the train south to Naples to do three things, and three things only: 1) Explore the ruins of the Roman city of Pompeii, sealed for ages under volcanic ash 2) Eat pizza in the city it was invented and 3) Check in to the archaeological museum, where all of the treasures and wonders of Pompeii were taken for safe keeping. I hadn’t heard great things about Napoli proper, so I (perhaps ignorantly) decided to crash in a hostel for two nights and focus exclusively on my hitlist rather than explore this sketchy city. The pizza lived up to all my expectations. This dish beloved the world over was invented here in Naples in the late 1800s, so what better place to chow down on pizza than the source? My first night in town I had dinner at Pizzeria Trianon da Ciro, a joint that dates back to 1923. 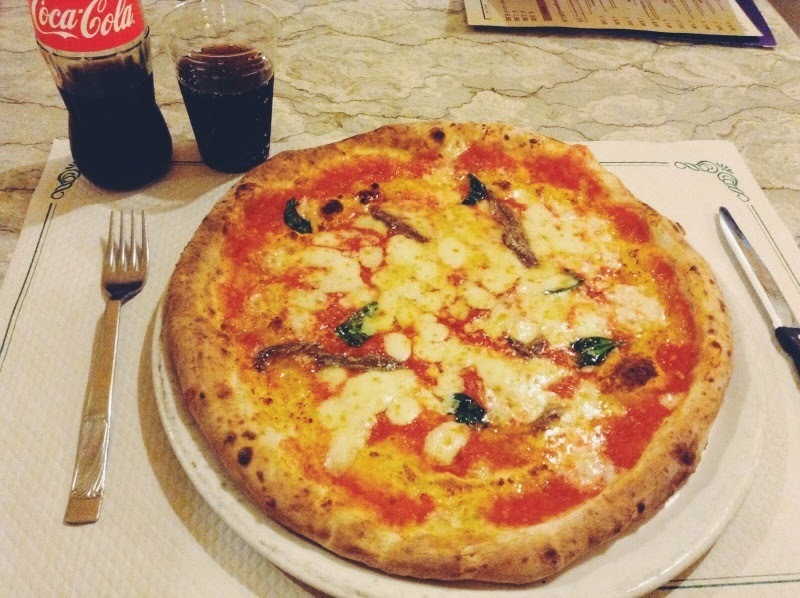 I ordered pizza margherita alla romana, which was your basic Margherita pizza (tomato sauce, fresh mozzarella, and basil leaves) but “Roman-style” with some salt-cured anchovies. Nothing too fancy, but this simple combination of fresh, quality ingredients was an affordable, delicious introduction to Neapolitan pizza. The next evening, back in town after exploring the ruins of Pompeii, I went to L’Antica Pizzeria da Michele, a family-run pizzeria that has been in business since 1870. Extremely popular with tourists and locals, you usually have to stand in line for hours once you get a number, but since I was a party of one, the host ordered me inside almost as soon as I walked in. I wasn’t a fan of the loud, stressful atmosphere inside, but there’s nothing quite like the simple pleasure of chowing down on some chewy, yeasty pizza dough that’s been slathered with tomato sauce, garlic, and oregano: pizza marinara. Naples’ National Archaeological Museum was really somethin’ else, and one of the best archaeological museums I’ve been to anywhere. 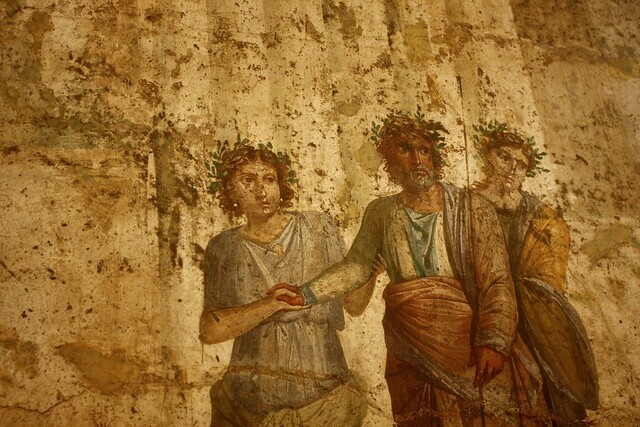 For those who come south for Pompeii like yours truly, it’s the place to see the frescoes, mosaics, and relics that were retrieved from the ruined city. 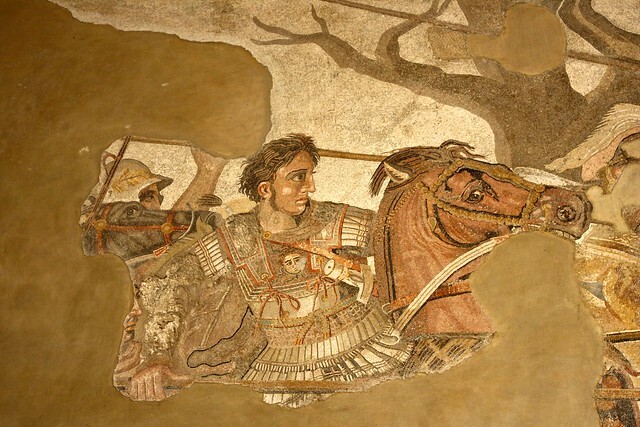 The Alexander Mosaic is an impressive, huge spread depicting Alexander the Great leading the charge against the Persian army, and dozens of house frescoes are indistinguishable from their Renaissance-era successors that came 1,500 years later. One of the museum’s halls holds the Farnese Collection, a group of statues and sculptures unearthed from Rome’s Baths of Caracalla during the Renaissance to adorn the palace of the aristocratic Farnese family. 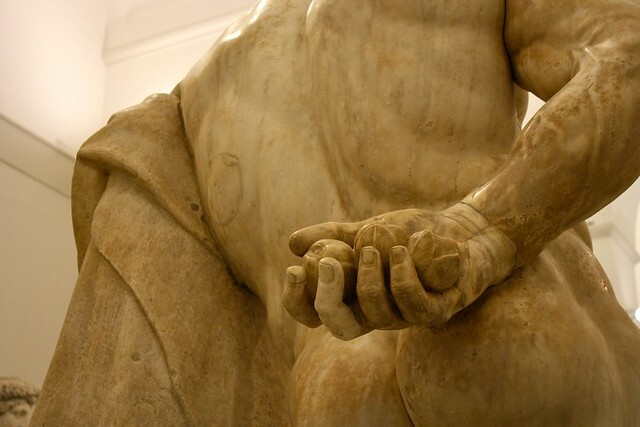 Examples include the Farnese Hercules, a famous depiction of the mythological Greek demigod, and the Farnese Bull, a monumental group of four figures swirling around a raging bull—it was the largest sculpture from ancient times and carved from a single block of marble. I wasn’t impressed with Naples the city, although to be honest I didn’t give it a chance, either, since I mainly shuttled between the train station, pizzerias, and my hostel instead of exploring the largest old town in all of Europe. Perhaps the dreary rainy weather ruined the city for me, but it was probably a combination of trash and graffiti e v e r y w h e r e, creepy people lurking about, and an inscrutable subway system that did it in. 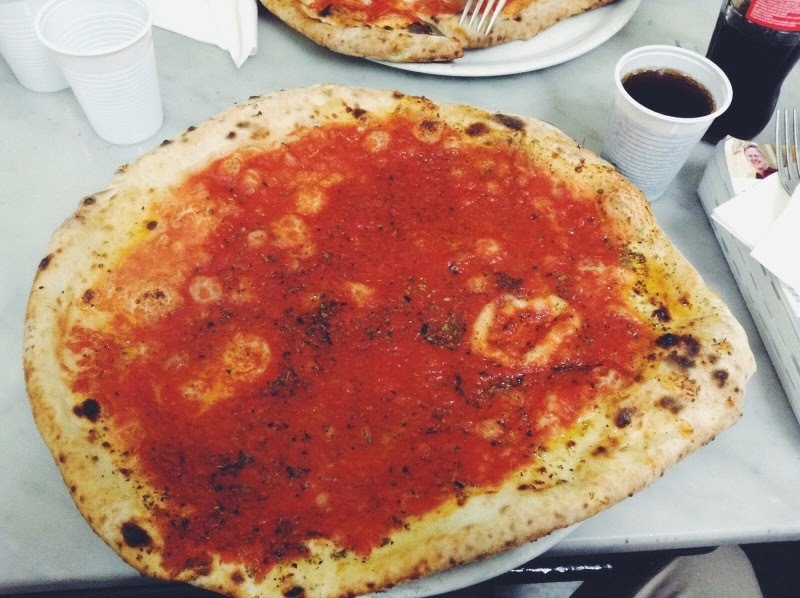 I don’t have plans to go back, but I am grateful for the opportunity Naples gave me to eat glorious pizza and bask in the artistic heritage of the Roman Empire. What was your favorite photo from this post? Do you think Naples is a seedy port city or a place with crumbling charm? Tell me in the comments below! For more pictures, check out my album on Flickr here.